A Happy New Year present from me to you - a little teaser from the current draft of Indigo's book (final version may be slightly different). Another nip—this one on her shoulder. He made a growling sound of disagreement, his canines flashing. Color under her hands, the timber-colored wolf shifting into a human with lake-blue eyes and rain-slick hair. “I don’t think so.” He was on her before she knew it, cupping her face in his hands, his mouth on hers. “No, I don’t.” He kissed her again, pushing her down to the earth. I'm deep into editing Indigo's book - hoping to get this draft finished by the end of next week. Edited to add: For booksellers, librarians, and book groups - I now have bookmarks for the Guild Hunter series. Please e-mail me at nalinisinghwrites AT gmail DOT com with your mailing address & how many you'd like and I'll get them away to you. ...we can't wait for over at Oddshots. 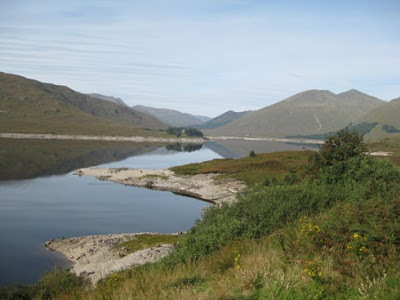 Here are some shots from my travels around beautiful, beautiful Scotland. 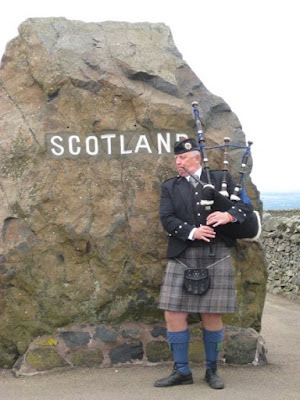 The shot above is of the piper on the border of England and Scotland. 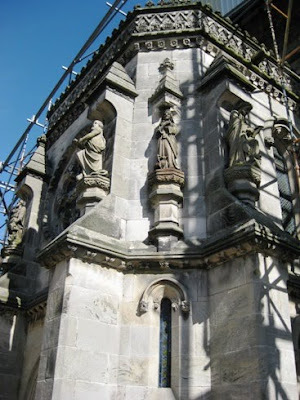 And below is a picture of part of the famous Rosslyn Chapel (Da Vinci Code). It was undergoing restoration work while we were there, so we got to watch some of the restorers at work. 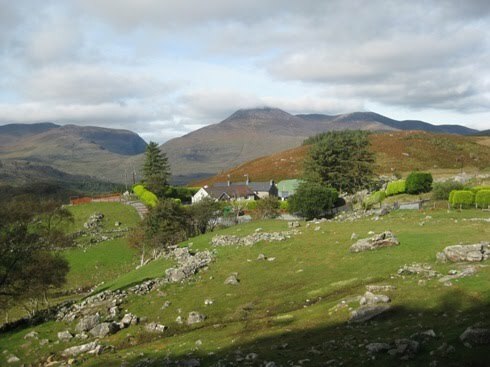 Below is a scene from the Highlands. It was an amazingly clear day when we went up - you could literally see blades of grass reflected in the water, it was so calm. 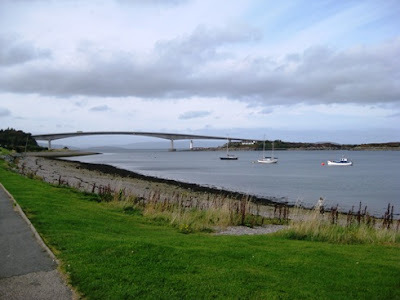 The next picture is from Kyleakin on the Isle of Skye. 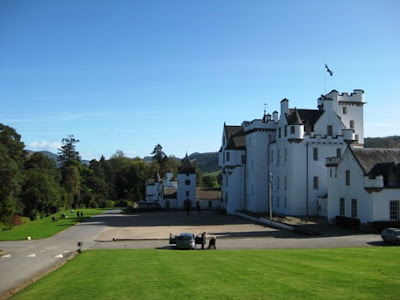 Below is Blair Castle - the grounds and the building are beautiful, and its fascinating inside, especially the entrance hall which is set up to display hundreds of weapons! 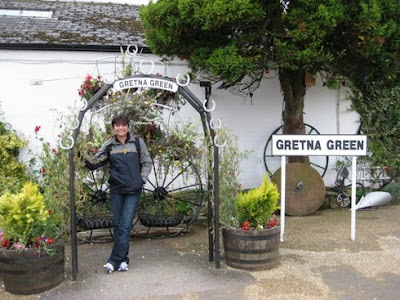 And, for a historical romance fan, no visit to Scotland would be complete without stopping off at Gretna Green! Here's me posing ;-) The famous Blacksmith's Shop where the weddings took place is the building in the background. And it's Christmas Eve here! How did that happen?! I was tidying up my office when I found two spare magnets for the Psy/Changeling series. They're postcard size, and feature all the books to date. If you'd like one, just leave a note in the comments by Saturday 26th Dec 2009, midnight, NZ time, and I'll draw a couple of random winners. Make sure you leave a way for me to contact you, or I'll redraw after 48 hours. Hope you're all having a good start to the holiday season. Are you all prepared? 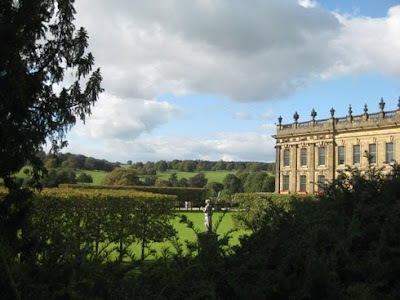 I give you the magnificent Chatsworth House, which acted as Pemberley for the most recent movie version of Pride and Prejudice. 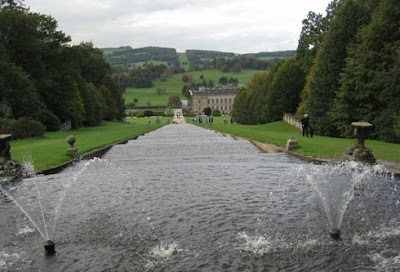 Looking down toward the house from the top of the stunning staircase fountain. 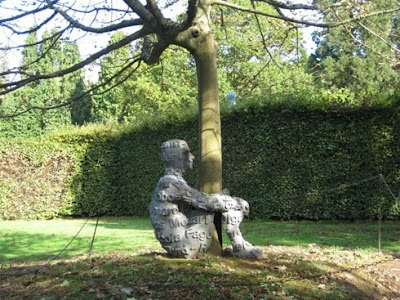 There was an exhibition of modern art going on in the (fabulous!!) grounds when we went - this piece was one of my favorites. 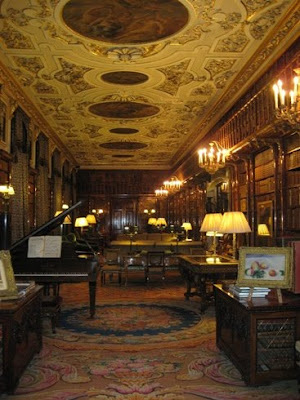 This room was used in a scene in P & P.
The library! Isn't it gorgeous? 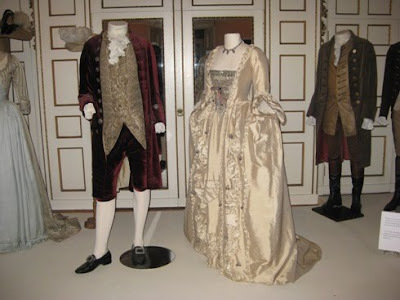 Costumes from The Duchess, which was also filmed at Chatsworth. 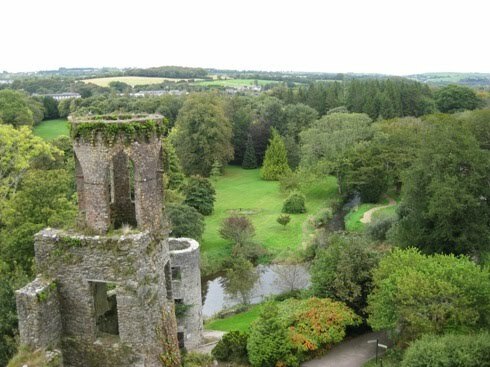 And a shot of the grounds near the house. 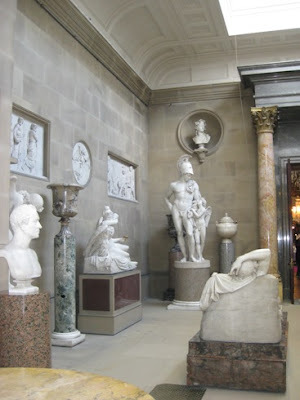 If you ever get a chance to visit Chatsworth, I would absolutely recommend it. 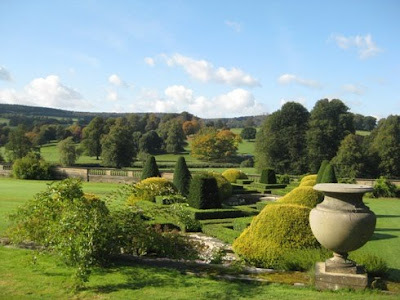 Make sure you go on a beautiful sunny day as the grounds are utterly beautiful. 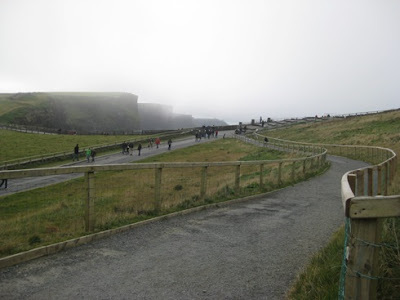 You could walk for hours and still not see everything. 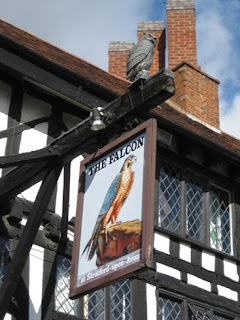 I've done a couple of interviews recently, and they're both up, the first at Fangtastic Fiction, and the second at fellow Kiwi Tim Jones' blog. Now, onto today's book club! What've you been reading and loving this week? Late post today. I've been reading some fascinating research material on wolves for the past couple of hours. This afternoon, I'm working on a hard-copy draft (printout) of Indigo's book - I always do at least one draft like this - there's just something about working on the printed page. What's happening in your corner of the world? ...over at Oddshots today, talking about what I learned in 2009! 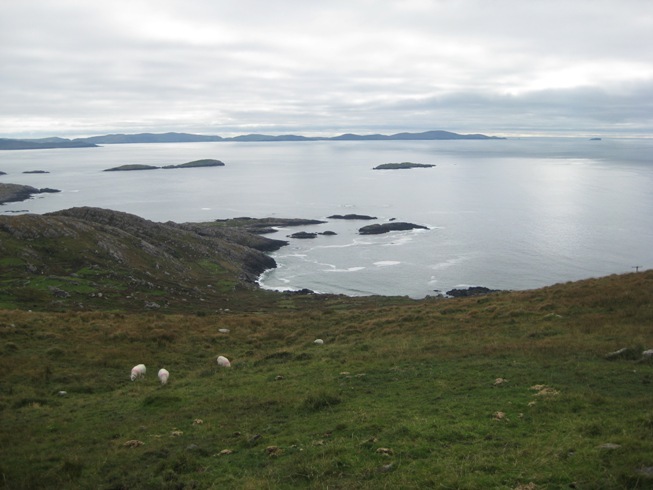 After a break last week, I'm back with some more photos from my travels around Ireland. I really love the shot above - the scenery seems so desolate and beautiful at the same time. 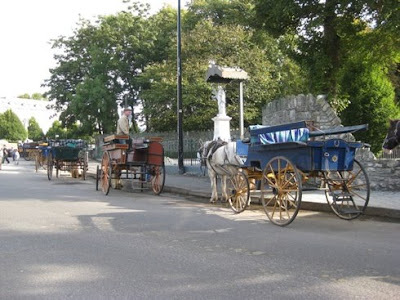 A picture of the famous Killarney Jaunting Cars. Totally fun! I recommend a ride if you're ever in the area. 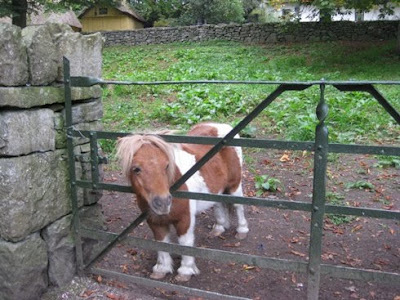 We met this friendly little guy at the Buratty Castle and Folk Park. Isn't he adorable? 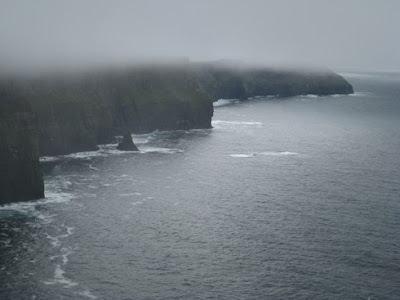 Above and below are two shots taken at the absolutely stunning Cliffs of Moher within the space of perhaps half an hour. The fog was amazing. It swept in and covered everything, and then minutes later, you'd look and it was drifting back out. 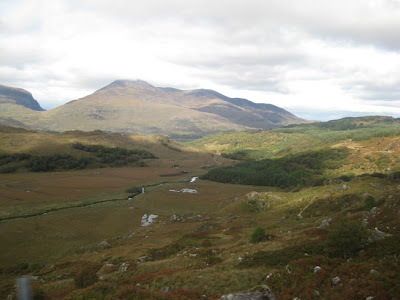 And to close with, another shot of the beautiful scenery. We've just done a major website update, so there's lots of new stuff to explore - and thanks to my awesome web-person, Gabrielle, the site now has a cool little favorites icon (look on the left of your address bar). Isn't it nifty? I love it! It's time to talk all about the books you've been reading and loving this week! I read Anna Campbell's Captive of Sin, and thought it was absolutely fantastic! Gideon is just such a wonderful hero, and his character is so beautifully drawn. I'm really hoping Gideon's friend Akash gets a story, too. 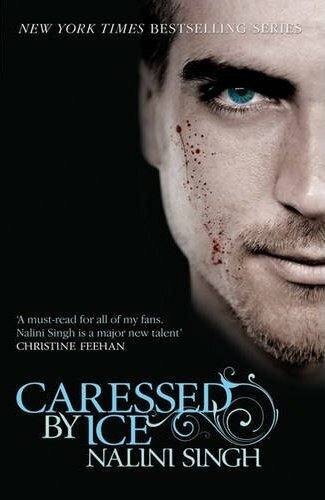 If you want to check out an excerpt, here's a link to Anna's site, and Anna did a guest blog here about COS as well. First, a link - Berkley is giving away a massive 31 ARCs of different upcoming releases over at Dear Author, so make sure you enter! And now some gorgeous covers!! The first is for Dorian's book, and the second is the first Guild Hunter book. Enjoy!! RT Nominations, My reading year & Project Paranormal! Also, I did a really long post about my favorite books this year for Smugglivus - it was so interesting going back over the books I'd read the past year. As a Smugglivus present, I'm giving away a copy of Angels' Blood and one of Blaze of Memory (even if you have both books, I hope you'll swing by and join in the discussion). And last, but not least, several new episodes of Project Paranormal have just gone up, including a segment all about gift suggestions for paranormal/urban fantasy readers. There may even be a highly professional *coughdorkycough* greeting from yours truly. I managed to get my excited hands on the new The Lost anthology, and have so far read the first two novellas (by JD Robb & Patricia Gaffney). Loved them both! 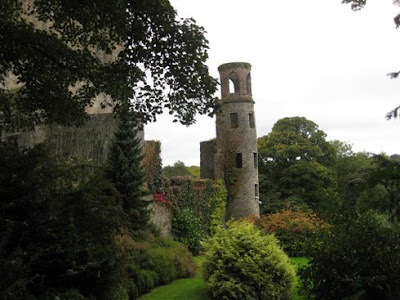 Looking forward to the stories by Mary Blayney and Ruth Ryan Langan. Some links for you all today. 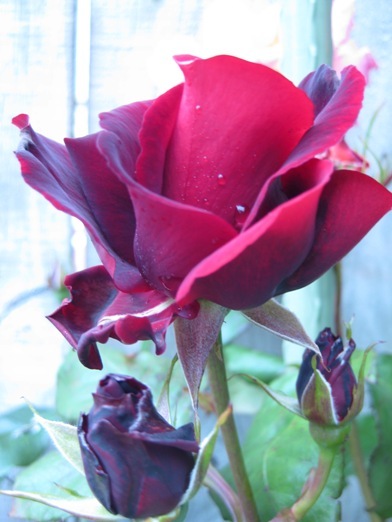 The Knight Agency is giving away Leslie Parrish's Black at Heart in their Take Home Tuesday post. 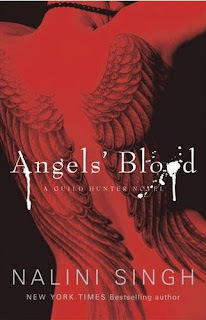 Ilona Andrews has a pretty, pretty cover for Magic Bleeds. Rowena at The Book Binge is spotlighting Julie Garwood - Ms. Garwood has written some of my most favorite historicals ever. Saving Grace, Ransom, Honor's Splendor...I have a whole JG keeper shelf. The Galaxy Express has a post about the upcoming SFR Holiday Blitz, where you can read posts by and win books by authors of science fiction romance. 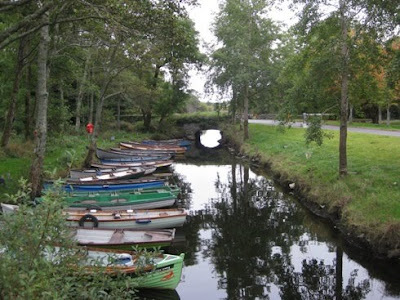 This first one is of the canal at Ross Castle. 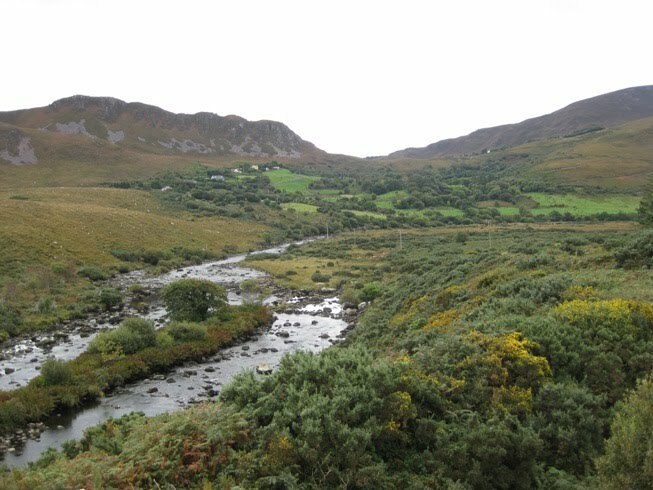 The next two shots were taken around the Ring of Kerry. 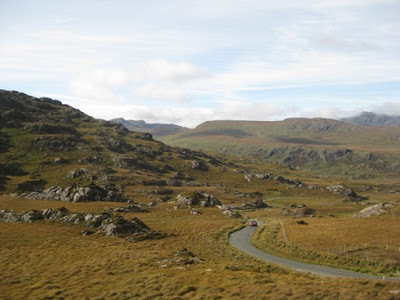 It was just amazing, stunning scenery. 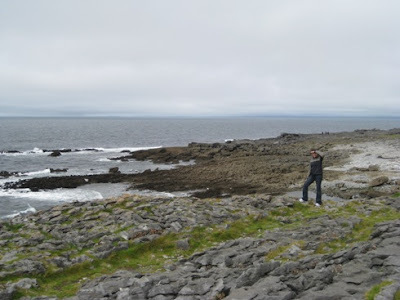 And a shot of me standing on The Burren, an extraordinary landscape of rocks - when I went, it was very desolate, but in summer it apparently blooms with flowers. I could've spent hours wandering through the rocky terrain. If you ever have a chance to visit, don't miss this place. It's time to talk books, books, books! 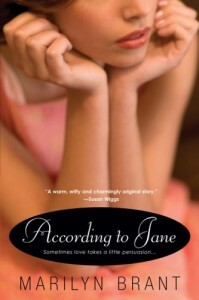 I read a debut book this week - Marilyn Brant's According to Jane and loved it! I first heard about this story when I had coffee with Marilyn the year this book (then a manuscript) won the Golden Heart Award - so seeing it in print was really lovely. According to Jane is the story of Ellie Barnett, who one day in English class, suddenly starts hearing Jane Austen's voice in her head, giving commentary/advice on her life. The book follows Ellie as she grows up, tries to find love, and perhaps even herself. It's a warm, witty and emotional book and gets a definite thumbs up from me. If you want to check out an excerpt, click the link. If you've won a book from me, or if you're waiting for something else, everything is in the post as of this week. I'm working on Indigo's story today. Because I write out of sequence, sometimes, I need to put scenes together like jigsaw pieces. But, those pieces appear to be slotting into place, and I'm really looking forward to completing the overall "shape" of the story soon. Look what I found on YouTube! Two German reader-made videos on the Psy/Changeling series. I love them! Below is a shot of part of Blarney Castle (home of the famous Blarney Stone). 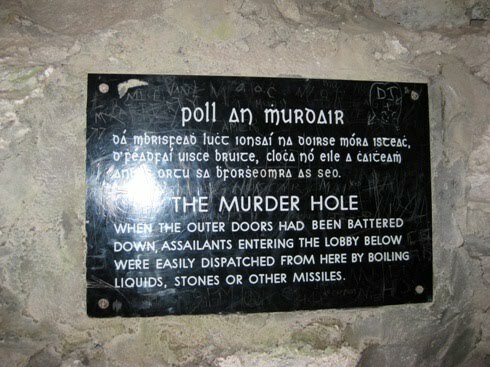 Murder Hole at Blarney Castle. A shot of the lovely Irish countryside. Spring is in the air and flowers are everywhere, so it's only right I'm currently reading (and loving!) Bed of Roses by Nora Roberts. I also took a mental health break a few days back *g*, and had a chance to gobble up Kindred in Death by JD Robb (awesome as always), and one of Lisa Kleypas's older titles - Where Dreams Begin - loved it! Here's a link to the Book Binge review where I first heard about this gorgeous story. Okay, your turn! What're you reading and loving this week? p.s. 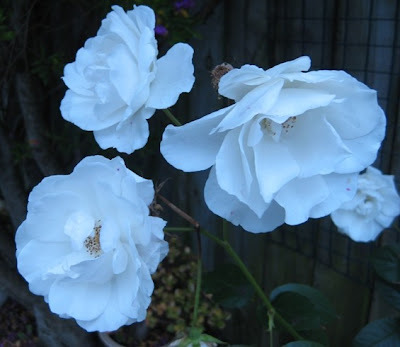 I took the rose photos this morning - not my garden, but that of someone with considerably greener fingers :) (Click on the photo for a bigger image). Blaze of Memory Spoiler Thread Now Up! (I'm going to close comments on this post to avoid confusion). I've had a few questions about when I'll be holding another Q&A session - the answer is probably sometime next year. I'm still recovering from the last one *collapses* Just kidding. But they do take a bit of time, so I need to schedule them when I can devote a few hours to answering questions. I'll put up a note in advance when it happens. Also, do you all want a Blaze of Memory Spoiler thread? Let me know and I'll set one up. I'm working on Indigo's book today, and I've started sketching out parts of the next Guild Hunter book as well. More news to come as I get further into both stories. 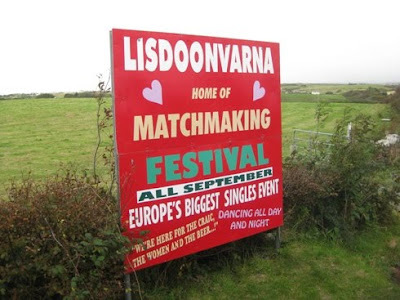 And a heads-up. Paranormal author Shannon K Butcher is chatting at The Knight Agency chat-room Thurday, November 19th @9pm ET. Details here (oh, and it looks like TKA is giving away a copy of Shannon's book, so swing by and enter by Thurs). How gorgeous are these covers?! These are for the UK/Aust/NZ editions being brought out by Gollancz. I had a chance to see this cover art in progress while I was in London and I'm so delighted to be able to share it with you all now! And yes, I have more! Check out Lucas and Judd! I'm fascinated by the differences in cover art across different countries - it's always such a thrill to see the final product. Thank you, Gollancz for these beautiful covers! 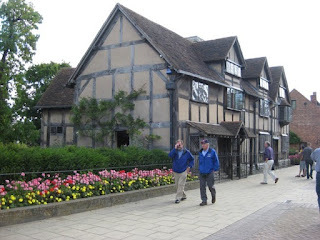 The photo below is of the house where Shakespeare was born. 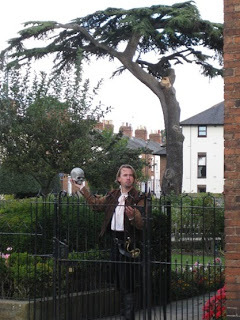 And here's Hamlet - "Alas, poor Yorick!..." 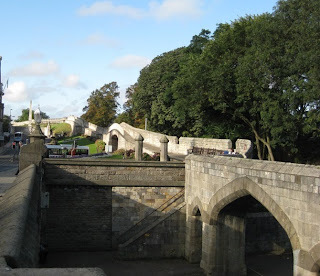 A shot of the walls surrounding the city of York. 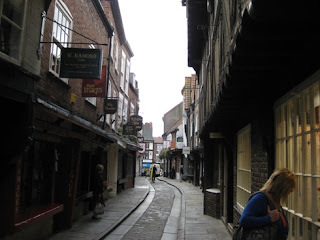 Plus one from the area called the Shambles in York. 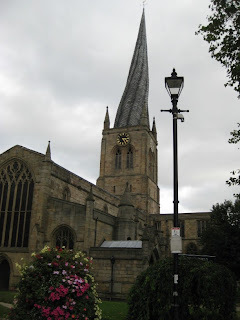 And a bonus photo - the Chesterfield Parish Church, with it's very unusual spire (thanks for taking us by, Frank!). 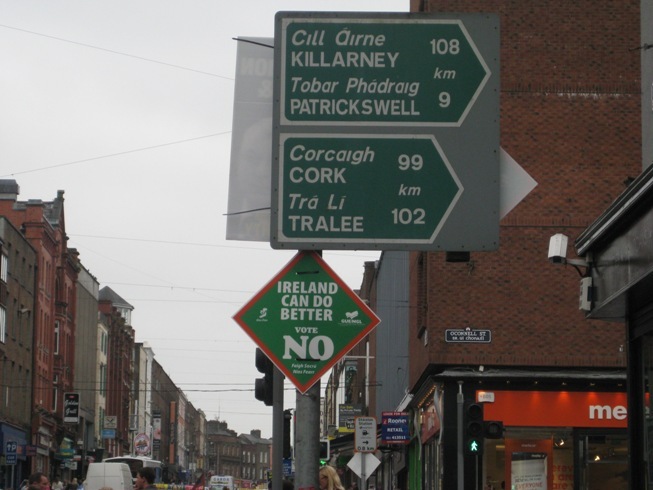 You can read more about why the spire is twisted here. This week has gone by so fast. I can't believe it's Friday already! I read The Untamed Bride by Stephanie Laurens this week and loved it! It's the first book in her new Black Cobra Quartet, and I can't wait for the next book already. So, what are you reading and loving this week? Blaze of Memory is to debut at #8 on the New York Times mass market bestseller list!! Thank you everyone!! 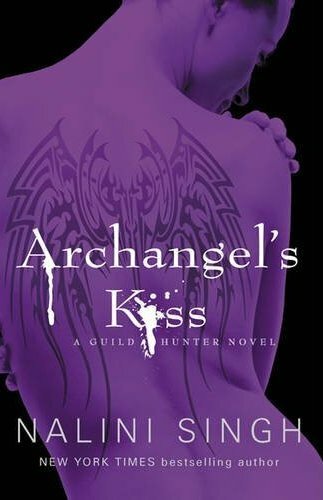 I'm excited to share a very special interview - with cover artist Tony Mauro, who did the brilliant artwork for the Archangel's Kiss cover. Tony has also agreed to swing by and answer further questions, so please welcome him to the blog everyone! (All the covers shown on this post feature art created by Tony - click through to his site to see more). Every project is a little different. Usually I'm given a relatively detailed character description and a loose scenario of what the publisher would like to see depicted on the cover. For Archangel's Kiss the publisher already had a specific concept in mind and I was asked to depict the main character perched on a roof top overlooking the forbidden city. At this point I start casting for a model, I have a bunch of local models that I work with on a semi-regular basis. I'll roughly map out the cover in my mind before I shoot to establish the best vantage point for the viewer so that you can see enough of the city to give it some scope without taking away from the main character. In this case I found the rooftop shot I wanted to use first and then photographed the girl at the proper angle and lighting so it would match up when I put the shots together. The city in the background would be dropped in later as well. The best case scenario for me is always to read the book first. That really gives me a good feel for the characters and makes it a lot easier to bring them to life on the cover. Unfortunately, there isn't always time to do that s o I'll work from a synopsis provided by the publisher which works too. On the flip side, sometimes you get a project where the art director just sends you the book to read and says "run with it" and gives you the freedom to do just that. Obviously it takes some time to establish that kind of trust but the more you work with the same people they really know what to expect from you and are comfortable enough with your work to let you go off on your own once and a while. 2. How do you create your art? On the computer? Sketches? I was a traditional airbrush illustrator for many years so all of my training is in drawing and painting. Now I do everything on the computer but my traditional background comes into play with everything I do. The best way to describe my process is photo based illustration. It's about 50/50 between photos and hand painted layers in photoshop. I usually like to paint the blowing hair and fabrics so that I can design the shapes and really control where they fall so I'll often shoot the girl with her hair in a ponytail. The photos merely serve as a foundation for me to build off of. 3. How long do you usually spend on a piece of cover art? Every cover is truly different but on average I spend anywhere from 10 to 15 hours painting up a concept. Of course the more elements you have going on the longer it can take. Also if you have a very clear image in your mind of what the cover needs to look like before you even sit down at the computer you can usually get there pretty quick. More time is taken up looking for the right model, setting up the shoot and getting wardrobe and props together than actually painting. The more work you do in the beginning the less work you'll have to do later. 4. You have created some amazing book covers - do you have any personal favorites among your creations? This is a tough one for me to answer. It's kind of funny because my favorite piece may be my favorite just because of some minute little details that only I would ever notice. I guess I have different favorites for different reasons. Unfortunately they often end up on the cutting room floor. This is tough for every artist but when you have a client you have to remember it's their art. Enclosed is one of my favorites that didn't make the cut as you see it here. Originally this image was done for a vampire book called First Blood. The publisher chose one of the other concepts I did for this one but later on I was asked to remove the blood from this one and it ended up getting used for a different book. I like this image because is it's bold and simple. I always try and think of as if I were in the store walking down the isle with thousands of books staring at me would I stop and pick this one up. My other favorite was another that didn't make the cut as you see it here. 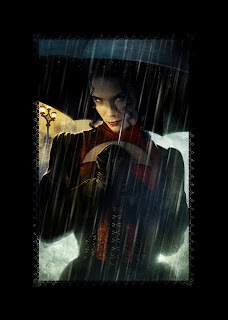 This one was for another vampire book that takes place in London. Ultimately they ended up removing the umbrella and the rain and cropping in tighter on the girl. The end result was very nice bu t I always liked this version. 5. You've worked with illustrations and movie posters as well as book covers - do you find big differences between the different types of work? Absolutely, with movies you're selling the stars. Unfortunately the story will always end up taking a back seat to whoever is starring in the film. The nice thing about books is we truly get to sell the story without getting all caught up in some over paid celebrities ego....but I'm not bitter LOL. I absolutely LOVE doing book covers and have been shifting my focus exclusively to books. I still work on film projects here and there but the process is very different. When working on a book I'll usually do 2 or 3 different concepts and 9 out of 10 times one of those concepts is chosen. When working on a movie you can easily do 20-30 different posters and none will get chosen because of the number of people involved in making the final decision. The studio will look at over 300 posters from several different sources before picking one. You are always competing with other designers and agencies. Even after you have the job you don't really have it. Luckily everyone gets paid for their work regardless of whether or not it's used for the final poster. 6. Could you tell us a little about your personal, non-commercial projects? I've always been a big fan of pin-up/fantasy art and learned a long time ago how important it is as an artist to have your own personal means of expression. No client, no product just art for art's sake. When I was in Los Angeles working at an agency that did video game packaging I was working crazy hours and just cranking out a huge amount of work. It should have been fun because I was working on really fun projects but I was just getting burned out and decided then that I needed something for myself to keep me inspired. My boss agreed and encouraged me to explore a form of personal expression that I could really be proud of. That's when I started Darkdayproductions.com. I first did a vampire series called When Darkness Falls which was a collection of all beautiful female vampires. Now I do calendars every year with a calendar publisher in the US and I had a book published out of Germany called the Dark Art of Tony Mauro which again featured all of my pin-up/fantasy art. It's been a really fun venture and has served its purpose well to keep me inspired and trying new things. 7. You've been working as an artist since the age of 23 - can you see yourself doing any other job? I've actually been working as an artist since I was 19. I made my big move to Los Angeles at 23 which was when things really started to happen for me. But to answer your question, NO WAY. This is what I've wanted to do since I was in first grade and my teacher used to hang up my drawings on the chalk board. My father is an artist as well so I grew up in a very creative household and I couldn't imagine doing anything else than what I'm doing right now. Thanks for the interview, Tony, and for agreeing to answer further questions!